Is your home experiencing problems with your roof? Have you started to notice leakage after it rains? If so, it most likely means that you are in need of a roof repair from All Storm Solutions! All Storm Solutions specializes in roof repairs for residential and commercial properties. As the leading roofing contractor in Naperville and surrounding Chicago cities, we have an established reputation of providing the highest quality of standards when we are hired for roof repairs. We combine our industry expertise, years of experience and customer service to bring you the best roof repairs. We guarantee you will absolutely love working with us, can trust us to get the job done, and get it done correctly. We take the time to talk you through every step of the process to make sure you have a full understanding of our services. The Midwest, especially the Chicago area, is known for facing severe storms and weather conditions. These storms pose threats to your home and roof. With our help, we will prevent any further damage that your roof may have endured during a storm. Whether your roof has been completely destroyed due to a hail storm, or maybe a tree has fallen on your home creating cracks in your roof, All Storm Solutions is the roofing repair contractor that you can count on to be there when you need it most! We stand by all of our work and guarantee a high quality and long lasting roof repair. 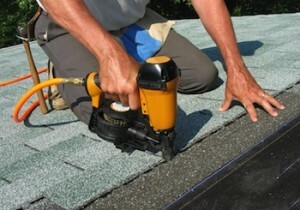 Our company uses the best materials to repair your damaged roof with top of the line roofing brands. All of our work is up to code, and is city inspection approved. Don’t let your roof pose a threat to your home, call All Storm Solutions for all of your roof repair needs!